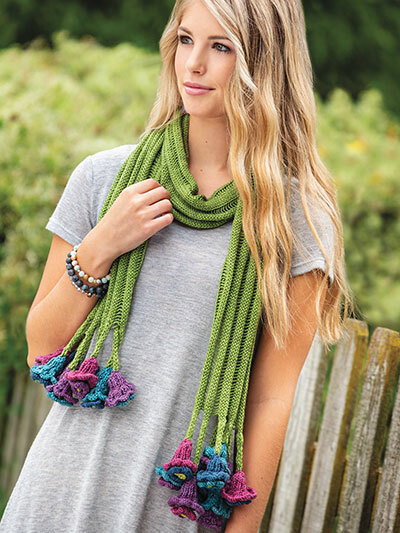 Rethink the usual fringe with this charming scarf. 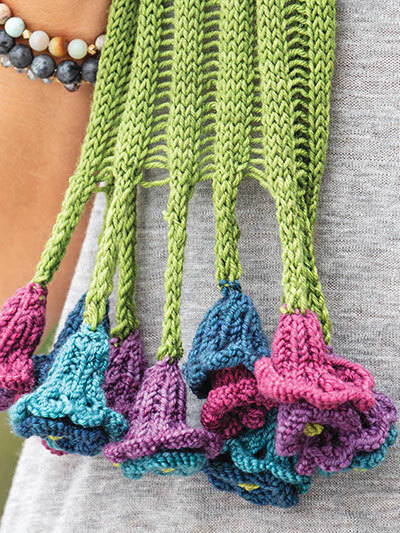 The open and airy drop-stitch columns give way to I-cord "stems", each blossoming with color. Knit with sport-weight yarn using U.S. size 6/4mm needles, 7/4.5mm needles and D/3/3.25mm crochet hook. 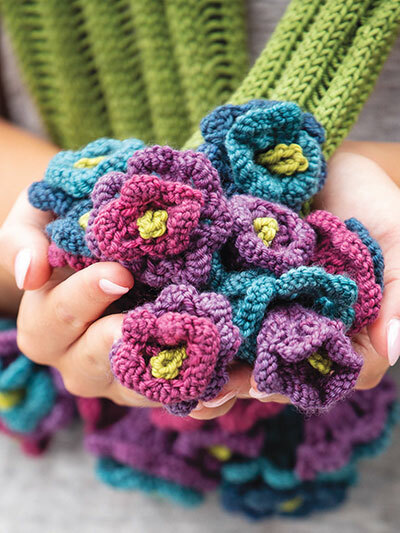 Design was originally published in Creative Knitting Spring 2019.